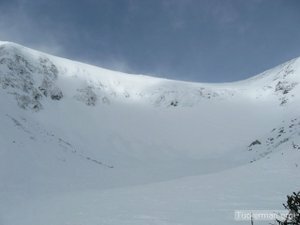 Back in January we posted some pictures of Tuckerman's Ravine courtesy of the Mount Washington Avalanche Center. 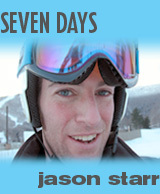 Now that the Tuckerman's spring ski season is mere weeks away, we figured another look was in order. And we like what we see. The main bowl and gullies are filled to the brim. 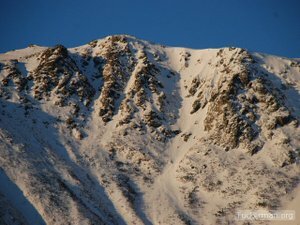 From the looks of it, there will be skiing on Mount Washington into July. 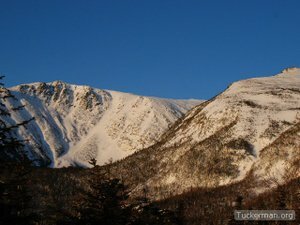 The first photo is of Hillman's Highway, the second of Dodge's Drop and the third of the main Tuckerman's bowl. All were taken this week. The photos may be a little deceptive because what looks like great snow is actually frozen solid. The mountain wasn't spared last weekend's rain. But once the sun starts loosening things up, the skiing will be world class.